Taking on the notorious Hero WOD with technology at your side. This Memorial Day, thousands of athletes will participate in the tradition of completing “Murph”, one of a series of challenging workouts better known in the CrossFit community as Hero WODs. These workouts are meant to elicit maximum effort and zero complaints as they are all named after heroes who have died in the line of duty. 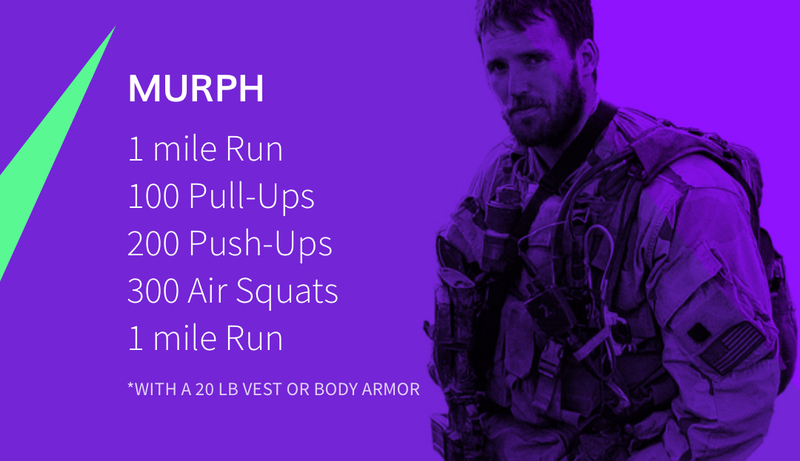 “Murph” honors the life of Navy Lieutenant Michael P. Murphy, who was killed while serving the United States in Afghanistan in 2005. Because “Murph” is so tough, it’s always smart to have a plan before you start. Wodify Pulse allows you to do just that. It’s a group heart rate training system that utilizes Myzone activity belts to track your performance in real-time. We asked a few experts for their advice on how they would coach Murph to those athletes using Wodify Pulse to help them get through this long, grueling workout. “A good strategy is to keep a strong, steady pace in the 80-90% range so that you can complete the workout without reaching muscle fatigue,” says multiple CrossFit Games competitor and CrossFit Lindy owner Daniel Tyminski. He should know. Tyminski completed Murph while wearing a heart rate monitor when it was programmed in the 2016 CrossFit Games. If your gym has Wodify Pulse, we hope these tips give you an edge the next time you tackle “Murph”. Participating in “Memorial Day Murph” is an inspiring CrossFit tradition that also reminds us of those who have given the ultimate sacrifice. Good luck to all those taking on the challenge!